360 Visibility is delighted to announce the availability of Microsoft Dynamics GP 2016. When Microsoft announced the newcomer’s release in March, it did so in the company of predictions that its new functionalities and core improvements would do no less than transform the relationship people have with their business solutions. The new tool’s flexibility around license types, deployment and device utilization means it can perpetuate its reputation as the most easily adopted ERP solution in the industry. Dynamics GP 2016 extend its tradition of excellent end-to-end financial management into a new era of affordable, cloud-savvy technologies. The cloud- and mobile-ready Microsoft Dynamics GP 2016 arrives in the midst of a swirl of promise, with partners, MVPs and others buzzing over its new features. The new web client, which will render Dynamics GP forms as HTML5 web pages and work across any browser/device that supports HTML5 web browsers, including OSX, Linux, the iPad, Android, Chrome, Firefox, etc. 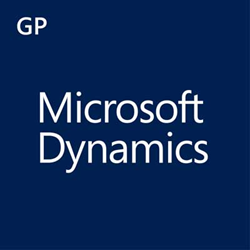 If you’re interested in upgrading to Dynamics GP 2016 (or in signing up as a new customer and taking advantage of the Microsoft Give Me 5 promotion that provides up to 30% off five licenses for Dynamics GP [the offer expires June 24]), contact 360 Visibility (416) 639-1737 or click to upgrade or click to save on GP.